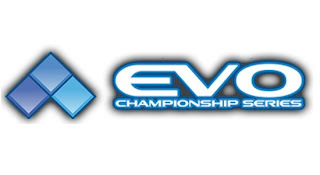 Evo 2013 is here. Head inside to watch the main stream and nab the links to the rest of the streams as well as view the stream schedule. The biggest fighting game tournament of the year is here. 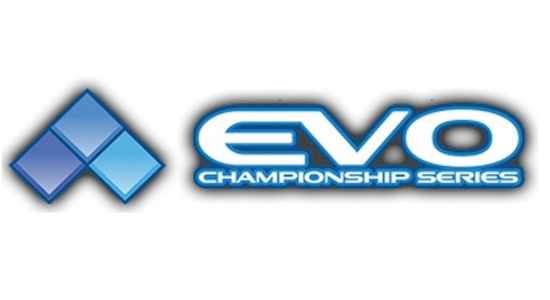 Evo 2013 is set to begin Friday (July 12). The best players from all over the world are at the Paris Las Vegas Hotel and Casino in Las Vegas. There, they are vying for a first place finish in at least one of the nine major titles. These games include Super Street Fighter IV: Arcade Edition 2012, Ultimate Marvel vs. Capcom 3, Injustice: Gods Among Us, Super Smash Bros. Melee, King of Fighters XIII, Tekken Tag Tournament 2, Street Fighter x Tekken 2013, Mortal Kombat 9 and Persona 4 Arena. Here is a stream schedule that includes dates, times and stream locations for each game. NOTE: All times are PST. Click on the image for a larger picture. Below you will find the main stream and chat embedded. In order to engage in the chat, you must pay a $12 PPV ticket. For more information on that, click here. Under the chat, you will see links to the second and third main streams. You can also view the airings by clicking on the tabs on the FightVG homepage. We will add more secondary streams as they become available. 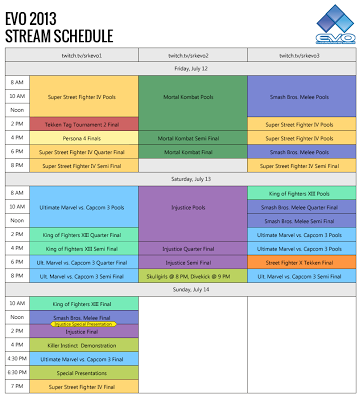 It's speculated that an alternate stream will show a bevy of Persona 4 Arena matches before the grand finals. If that occurs, FightVG will post the stream here and on the homepage.